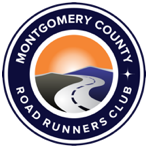 For your convenience at low-key races, you can print out the low-key club race entry form, fill it out, and bring it along to the race. Members: you only need to do this for your first club race of the year to obtain your permanent (for the year) bib number. You’ll also need to bring a $5 bill or your previous year’s chip so you can get your new IPICO chip as we will again be using our IPICO timing system for all low key races. Each club member will be required to return their previous year’s chip or make a $5.00 deposit on the tag.